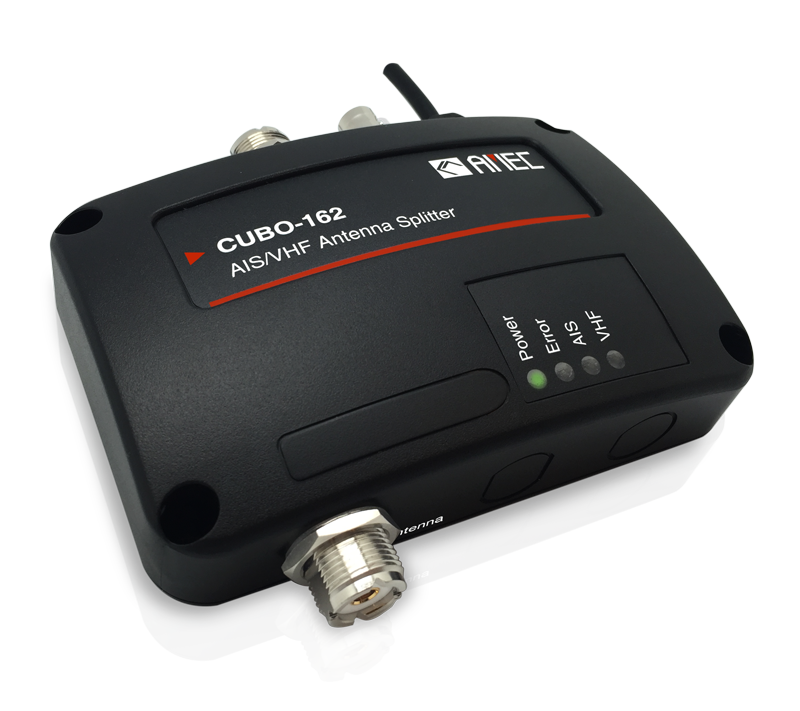 The CUBO-162 is AMEC´s latest AIS antenna splitter used to share a single VHF antenna for both VHF radio and AIS transponder or receiver. It also provides a feed for an FM radio. The design of the splitter enables receive zero insertion loss for maximized reception range of your VHF radio and AIS device. Its fail-safe feature guarantees priority to VHF radio operation even if the splitter has a power outage. The built-in test function gives a simple diagnosis in the event of an antenna problem. 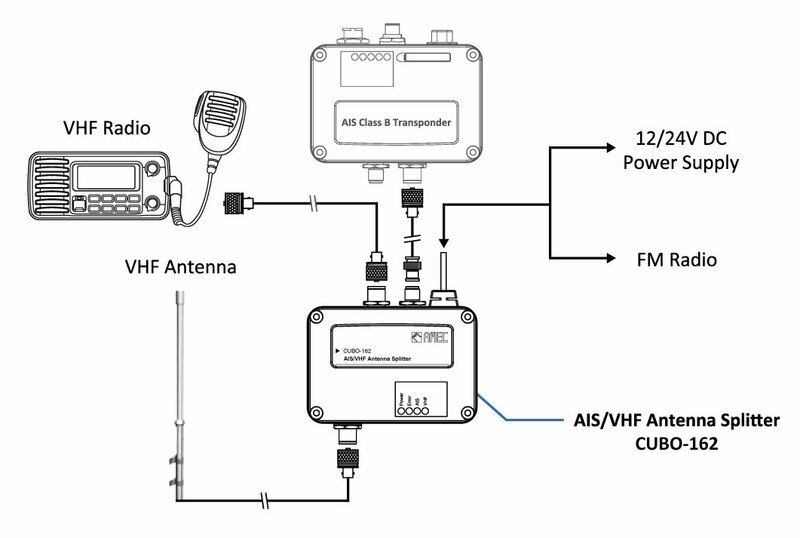 Featured with durable design and compact housing, the CUBO-162 is the best companion for your AIS transponder or receiver. I liked it. Plug and chug. I am waaay too busy working on OTHER items that need my REAL attention. I do not need to be playing with configurations. Milltech Marine did it for me and sent me a unit ready to go, out of the box. Plug and chug. Fast install, no brain time required. Q: can you tell me if this splitter is compatible with the Vesper XB8000 transponder? A: While the AMEC CUBO splitter works fine with the XB8000 we generally recommend stick with the same brand for the splitter and transponder. In the rare event you have issues there is less "finger pointing" between vendors. Q: Will this splitter work with a dsc vhf and a ais transponder (not just an ais reciever) ? 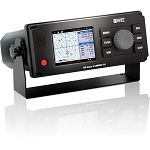 A: Yes, this product is designed to be used with a VHF radio and an AIS transponder. Q: Will this splitter work witth a Digital Yacht Nomad Class B AIS transponder? 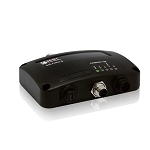 A: Yes, this splitter will work with any AIS receiver or Class B AIS transponder.